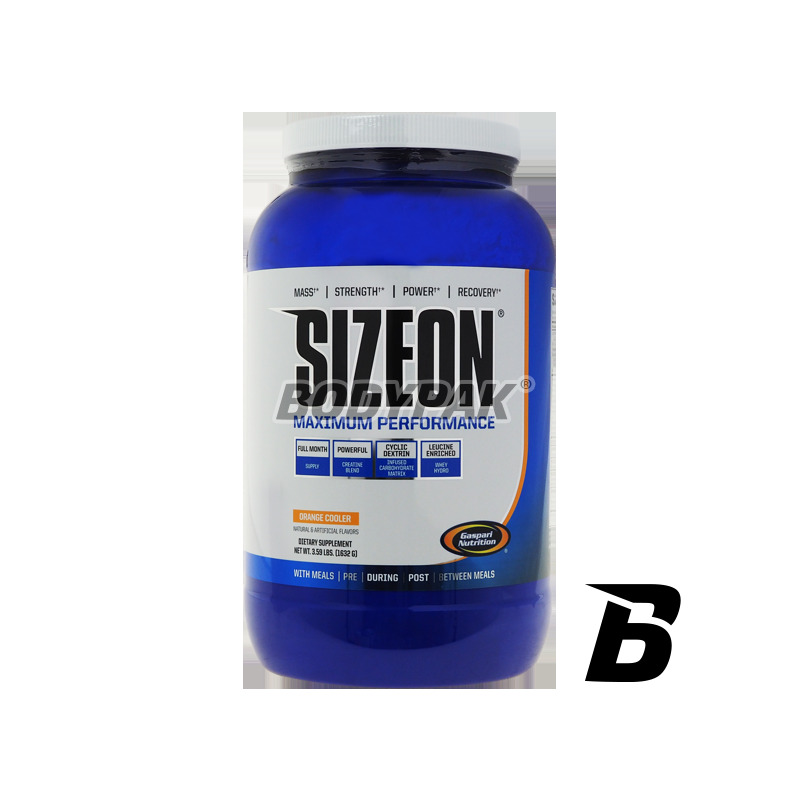 Size ON Maximum Performance - a new version of the popular post-workout regenerator. It is designed for use after training for those wishing to maximize mass. Version with carbohydrates! 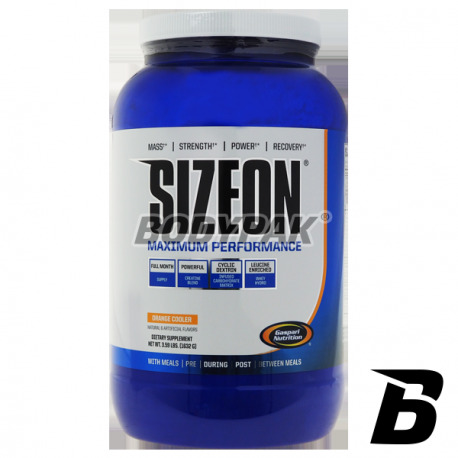 At the fair, which took place during the competition Mr.Olympia in 2005 SizeOn he aroused great interest of people in the industry as creatine stack based on glukonacie creatine. I've never been on the market for the product so advanced technologically, which SizeOn highly raised the bar for other creatine supplements. Size ON is so fast that the first change in the appearance of muscle and strength can be observed after 24-36 hours after ingestion of the first dose. Point worth noting is the fact that this product does not cause ailments of the digestive system, nausea, discomfort, etc. What makes SizeOn so special? Well, you would say that this is "the fastest and longest established cell volumizer on the world," but it will be the answer too general. Take a closer look, what makes this product so unique and effective. Other ingredients: citric acid, malic acid, silica, natural and artificial flavors, acesulfame K, sucralose, beta-carotene (dye).